which is currently airing on the NICKTOONS NETWORK. HORNSWIGGLE was shown as part of episode 4 (#104), and first aired on December 20th 2008. 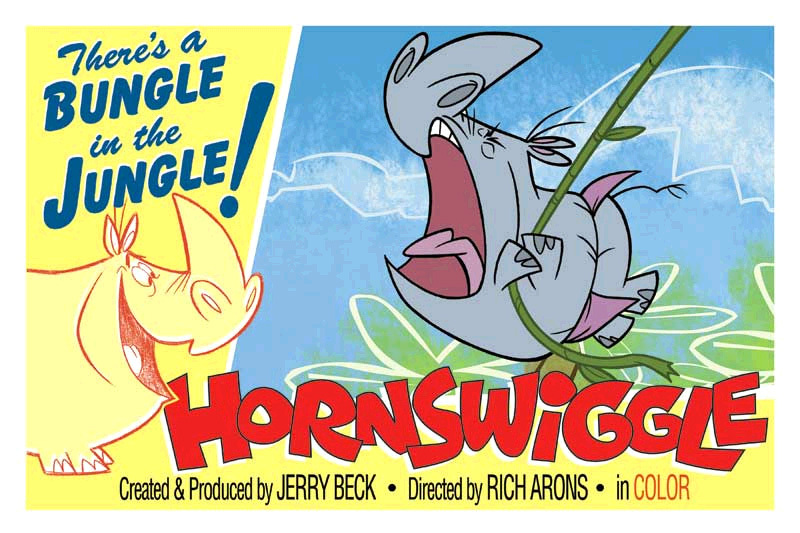 These nifty 1" promotional pinback buttons (pictured above in much larger size), featuring the two leads from HORNSWIGGLE, were only distributed at the 2006 San Diego Comic Con. I only have a few more of the Hornswiggle button left. If you meet me in person and ask politely, I'll give you one. 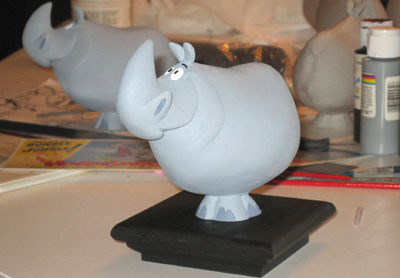 Adorable limited edition statues of Hornswiggle by famed Disney animator and sculptor Jason Peltz were created. Sorry, we are now sold out. 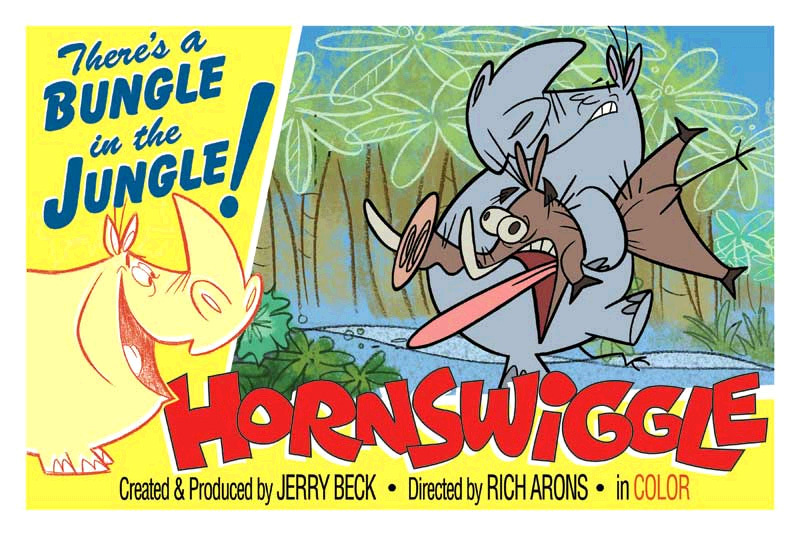 The rights to the character of Hornswiggle have reverted to Jerry Beck.